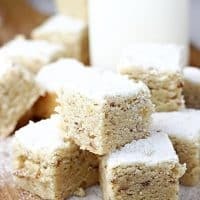 RUSSIAN TEACAKE SQUARES — All the flavors of a classic Russian Teacake cookie, in an easy to make bar cookie form. You guys, I absolutely love Russian Teacakes. But they can be kind of time consuming and messy to make. So when I discovered I could make a bar cookie version, I knew these Russian Teacake Squares would be a must on my holiday cookie lineup. 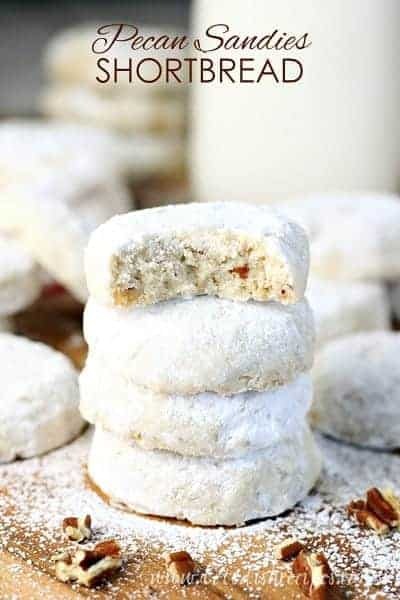 If you’re not familiar with Russian Teacakes, they are also known as Mexican wedding cookies, Italian wedding cookies, butterballs, and snowball cookies. 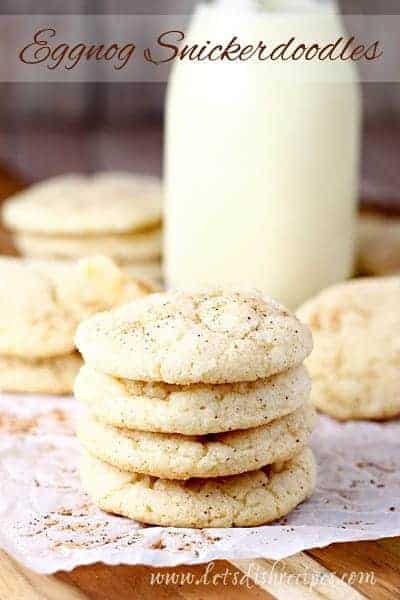 Although each version varies slightly, they are basically a buttery shortbread type cookie with lots of finely chopped nuts, dusted in powdered sugar. The are most often formed into balls, and sometimes crescents (which is the time consuming part). And of course, the powdered sugar is the messy part. Well, making Russian Teacake Squares pretty much solves those problems. 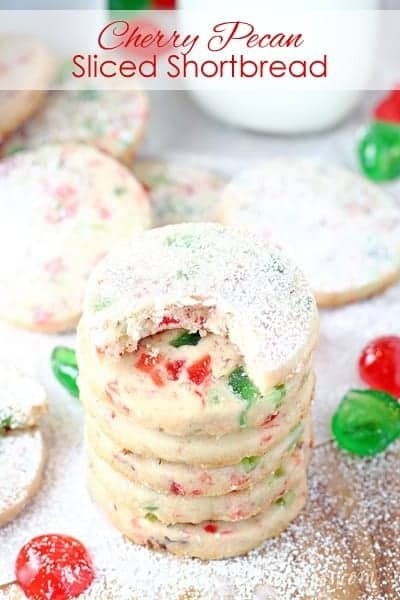 You simply press the cookie dough into an 8-inch square pan, bake it for about 30 minutes, then dust the whole thing with powdered sugar before cutting the cookies into squares. They taste just like traditional Russian Teacake cookies, without all the mess and hassle. And I couldn’t be happier about that. I like to use pecans in my Russian Teacakes, but walnuts or even hazelnuts (or a combination) will work too. And I find it works best to dust your powdered sugar on top through a fine mesh sieve for a nice, even layer. These cookies freeze well too. Always a bonus if you have a lot of holiday baking to do. Just be sure and dust them with an additional coating of powdered sugar after they’ve been thawed. 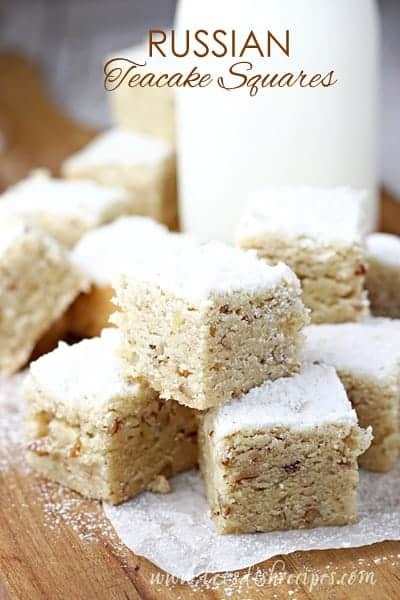 Be sure to save this Russian Teacake Squares recipe to your favorite Pinterest board for later. All the flavors of a classic Russian Teacake cookie, in an easy to make bar cookie form. Preheat oven to 350 degrees. Line an 8-inch square pan with parchment paper, leaving an overhang. Spray parchment with non-stick cooking spray. In a medium bowl, mix flour, pecans, baking powder and salt. In large bowl, beat softened butter, granulated sugar and 1/2 cup powdered sugar with electric mixer on medium speed until fluffy. Beat in egg and vanilla. On low speed, gradually beat flour mixture into butter mixture until well blended. Spread dough evenly into prepared pan. Bake for about 35 minutes or until light golden brown. Remove from oven and immediately sprinkle about 2 tablespoons of powdered sugar over top. Cool completely. Remove bars from pan by lifting parchment. Cut into 1 inch squares. 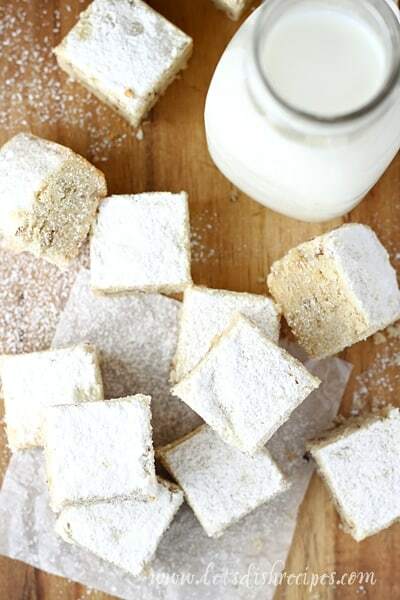 Sprinkle with an additional 2 tablespoons powdered sugar. Store in airtight container at room temperature.